It was 1985 when Anna’s Mostly Mahogany opened its doors in Lake Forest, IL. It was a small storefront that carried high-end American and European home furnishings and accessories. 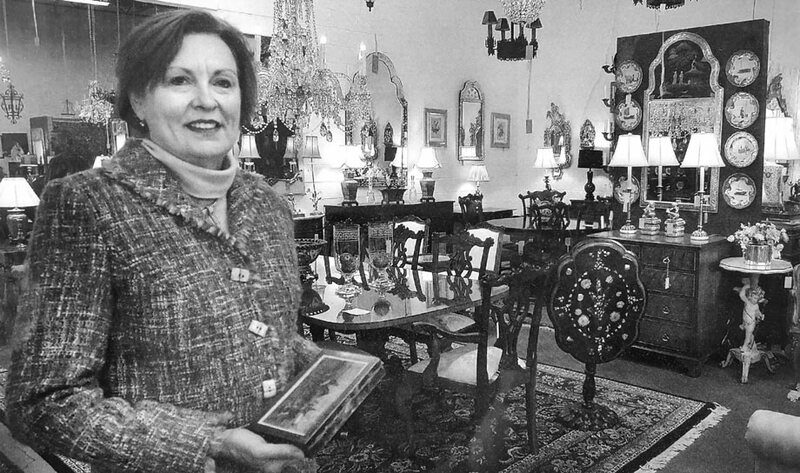 After many successful years in Lake Forest, Anna developed a vision of a marketplace that could combine a variety of dealers as well as her consignment business that was already established up the street in Highwood, IL. Needing a larger space, Anna’s Warehouse & Marketplace opened its doors in Highwood in 2003. Anna’s Mostly Mahogany and Antique & Art Consignment share the space with over 20 different dealers. The combination of Anna’s new products, consignment pieces, and the merchandise offered by the dealers help satisfy a large breadth of styles, tastes and décor. Originally more traditionally based and the place to go for mahogany, Anna has since broadened her inventory to reflect many different tastes and styles. Anna’s high standards, keen eye, and passion for interior design coupled with her imagination and solid relationships have made her a fixture on Chicago’s north shore. Years ago, when clients were asking Anna to sell the pieces that they were replacing with items bought at her shop, her consignment business, Antique & Art Consignment, was born. The doors opened in Highwood, Il in 2001, and has been going strong ever since. Offering exceptional quality pieces from antique to contemporary, you will find everything from a crystal decanter to a rock crystal chandelier to a grand triple pedestal dining room table, all at very reasonable prices. Inventory is constantly revolving, so it’s worth it to make a stop at least every other week. You truly never know what you will find at Anna’s and Antique & Art Consignment!